The economy is unpredictable, stock markets fluctuate and the price of energy keeps rising. 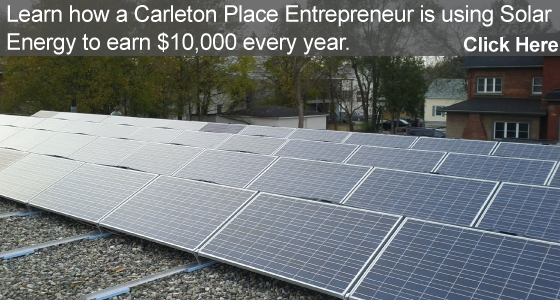 But Ontario’s Green Energy Act now gives cash incentives to business and property owners for producing clean energy for their communities and being socially responsible corporate citizens. The Ontario Power Authority offers 20-year, binding contracts at guaranteed rates to property owners operating solar energy systems. The energy your system generates is fed back into the electrical grid and you are paid handsomely for that energy on a monthly basis. The income generated and your payback are a function of the system you choose. We’ve been solarizing commercial properties for many years, and with hundreds of systems in service we know how to design, install and service your commercial solar energy system so you get the best possible return on your investment. Our staff includes design and engineering experts along with NABCEP certified installers that will ensure that your project is completed on-time, on-budget, and to your expectations.